For many people, when considering Jane Austen’s Pride and Prejudice and the novel’s prickly yet dreamy hero Fitzwilliam Darcy, one thing immediately comes to mind. One thing is associated with this story above almost all others these days, despite the fact that the novel is celebrating its 200th birthday this year. And that thing is Colin Firth. The actor sparked a love of Austen, an interest in classic literature and an appreciation for white shirts and bucolic scenery among a generation of women, who all swooned over his portrayal of Mr. Darcy in the 1995 BBC adaptation. He is in the minds of a great many people, the definitive Darcy. Well, he’s about to get some competition. The BBC has ordered a three-part adaptation of the novel Death Comes to Pemberley, a Pride and Prejudice sequel written by P.D. James, which tells the story of Austen’s famous couple six years into their marriage. But the question everyone wants to know is – who’s playing Mr. Darcy this time? Answer: It’s Matthew Rhys. You may have seen him on ABC’s Brother’s and Sisters, the Masterpiece adaptation of The Mystery of Edwin Drood or FX’s The Americans. And he’s aware of the inevitable Firth comparisons headed his way. Rhys will be joined by The Bletchley Circle’s Anna Maxwell Smith as Lizzie, and Birdsong’s Matthew Goode is set to play the nefarious Wickham. The official synopsis says that the series will “combine classic period drama with a highly suspenseful and brilliantly crafted murder mystery plot,” apparently involving the murder of a friend of Wickham’s. Casting for the rest of the novel's major characters hasn't been announced yet, so we'll have to wait and see if any more recognizable faces will be part of this project. Filming will begin in June. 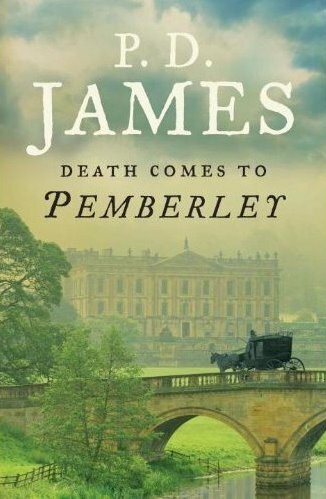 Death Comes to Pemberley is currently set to air in the UK as part of the BBC’s slate of Christmas programming later thi year. No word on when (or if) we might see this here in the States, but well, remember how popular that original Pride and Prejudice series was for A&E back in the day – there’s hope! What do you think, folks? Does the idea of a Pride and Prejudice sequel seem interesting or overdone? Will Rhys live up to the challenge of Firth’s legacy?